Kotobukiya is going to release the Dark Dragoon Forte ( ディアドラグーン・フォルテ ) 1/8 PVC figure from the game “Rage of Bahamut” ( 神撃のバハムート ) published by Cygames. Will be released in June 2016. Around 245mm tall, 13,800 yen. Kotobukiya is going to release the Tekken Bishoujo Lucky Chloe ( ラッキークロエ ) 1/7 PVC figure from the fighting game “Tekken” ( 鉄拳 TEKKEN ) developed by Namco. Will be released in July 2016. Around 210mm tall, 7,500 yen. 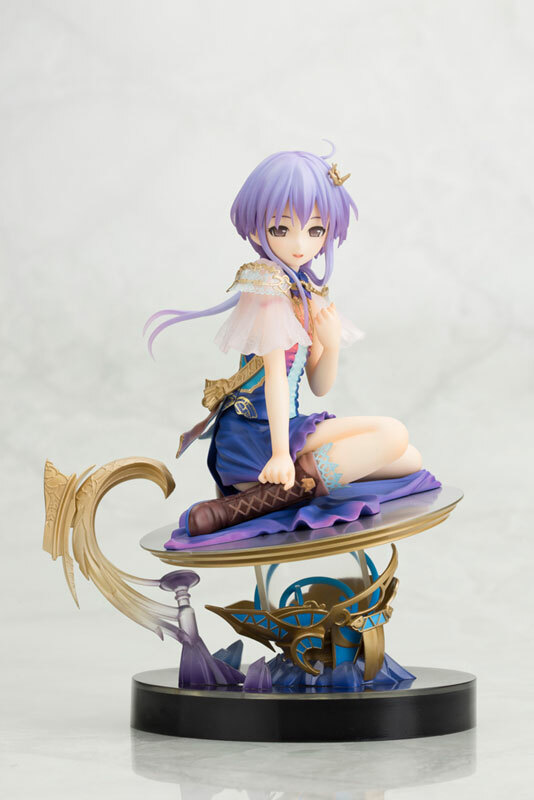 Kotobukiya is going to release the Mystere Warden Spinne ( ミステールワーデン・スピネ ) 1/8 PVC figure from the game “Rage of Bahamut” ( 神撃のバハムート ) published by Cygames. Will be released in February 2016. Around 180mm tall, 12,000 yen. Kotobukiya is going to release the Mito Ikumi ( 水戸郁魅 ) 1/8 PVC figure from the manga/anime “Food Wars! : Shokugeki no Soma” ( 食戟のソーマ ). Will be released in late February 2016. Around 205mm tall, 9,000 yen. Kotobukiya is going to release the Rinna Mayfield ( リンナ・メイフィールド ) 1/8 PVC figure from the “Shining” game series “Shining Resonance” ( シャイニング・レゾナンス ) published by SEGA. Will be released on January 2016. Around 220mm tall (with hat), 9,800 yen. Kotobukiya is going to release the Oshino Shinobu ( 忍野　忍 ) -Casual Wear- (-私服-) 1/8 PVC figure from the light novel/anime series “Monogatari series” ( 〈物語〉シリーズ ). Will be released in January 2016. Around 120mm tall, 7,800 yen. 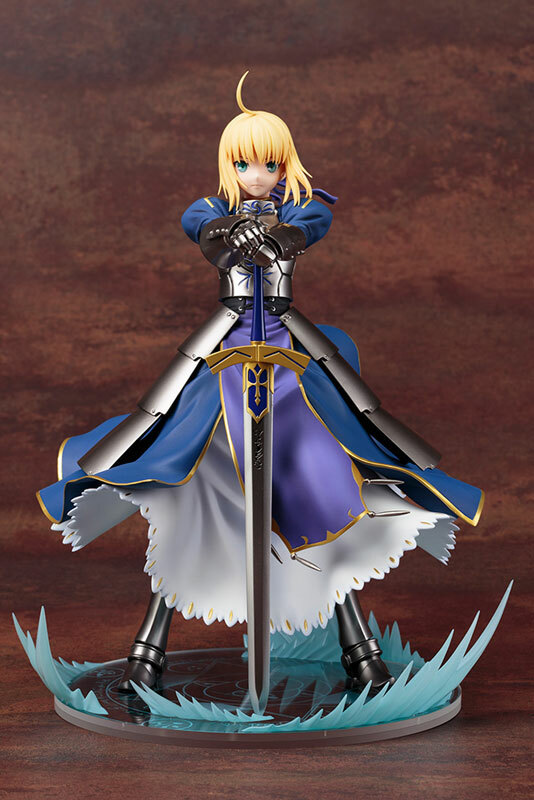 Kotobukiya is going to release the King of Knights Saber ( 騎士王 セイバー ) 1/7 PVC figure from the visual novel/anime “Fate/stay night [Unlimited Blade Works]” ( フェイト/ステイナイト [Unlimited Blade Works]). Will be first released in December 2015. Around 230mm tall, 12,800 yen. Kotobukiya is going to release the Oshino Ogi ( 忍野扇 ) 1/8 PVC figure from the light novel/anime series “Monogatari series” ( 〈物語〉シリーズ ). Will be released in December 2015. Around 200mm tall, 8,200 yen.